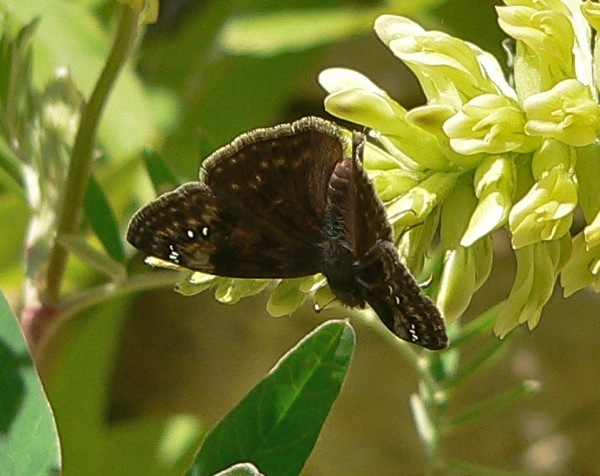 Wild Indigo Duskywings are impossible to visually tell apart from Columbine Duskywings (Erynnis lucilius). 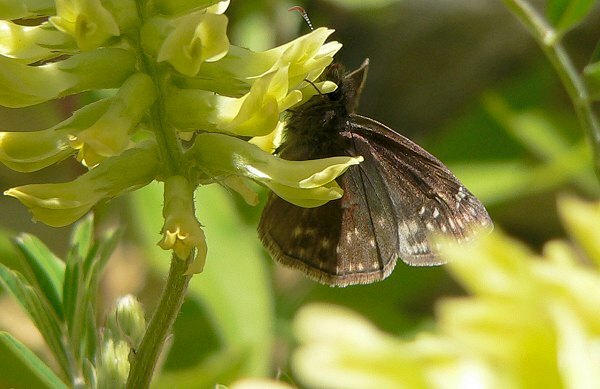 Where both species are present, the only way to tell is by watching which plants they lay their eggs on. 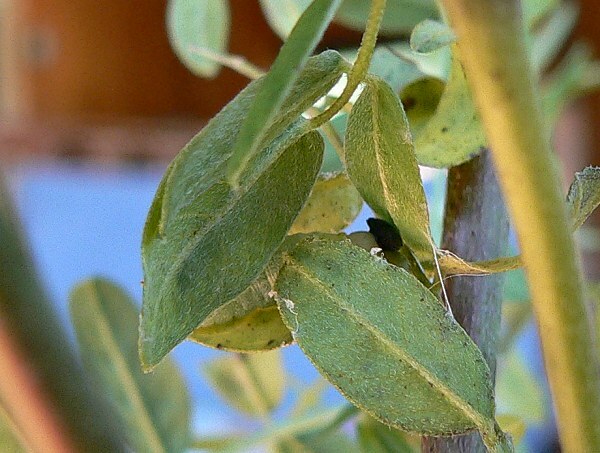 I found several eggs, and raised them on Astragalus canadensis. 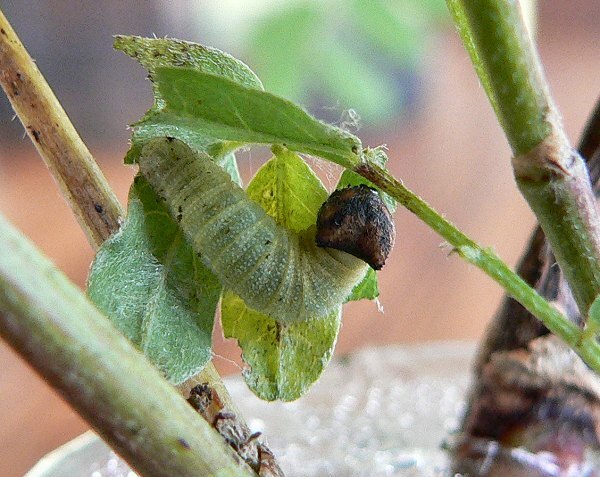 The caterpillars curled leaves to make a nest, and held them together with silk. None of my larvae made it to adulthood.